Is My Lead System Pro a scam? Can I make money with it? I will answer to the question in a minute. Please read on. Here is my background with this program. I joined My Lead System Pro in April 2015 and was a member for just a short time. Back then I was a complete beginner who knew nothing about online marketing. I signed up for the plan called “My Lead System Pro Academy Membership: $19.97/month” that is no longer available as I am writing this review in September 2015. To make a long story short, I didn’t stay with My Lead System Pro. I simply couldn’t make much sense of the program as a newbie. They provide tons of tools in their system, but it was not well organized and to me personally, it was overwhelming rather than informative and helpful. Without step-by-step instructions, I couldn’t figure out where to start. I remember I used to feel bad about myself for not comprehending what they were trying to teach me… But after leaving My Lead System Pro, I found a real beginner-friendly program. 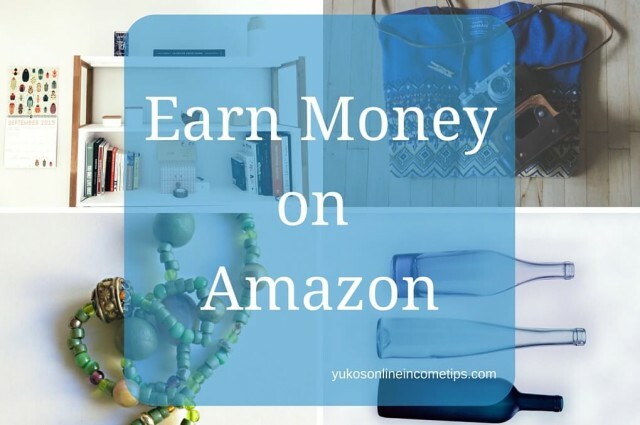 It taught me from scratch how to build a successful business online, and as a result, I did start earning income online. It really worked this time! Then I realized that it was not because of me being dumb or anything that I was not successful with My Lead System Pro. It was their system that made it hard for me to be successful. Thanks to Wealthy Affiliate University I joined after MLSP, I have gained a better understanding what online marketing is all about. So today, I want to take a close look at My Lead System Pro once again and share my honest opinions with you based on my personal experience. My Lead System Pro (formerly known as MLM Lead System Pro) is an online training platform that teaches online marketers, especially those who are involved in Multi Level Marketing (MLM), to build and grow their business. It was founded by Brian Fanale, Norbert Orlewicz and Todd Scholmer in 2008. The founders like to call their system “Academy” because it provides many classrooms and tools about ins and outs of online marketing. What is attraction marketing? In their definition, it is a method that attracts and drives your potential customers to come to you, instead of you having to chase after them. You don’t pester your friends and family to join your MLM business because they will naturally come to you. Sounds perfect, doesn’t it? As a newbie, I too thought it would be great if a system can help me get started online so easily. Even now I do not deny the idea of attraction marketing. The problem, however, is that MLSP doesn’t teach you how to acquire this skill. Of course, I didn’t learn it either while I was with MLSP, so to this day, I still have no idea how the attraction marketing technique works. I also remember they emphasized too much on “quick” success. Now I have learned that it is the sign of a not-so-reliable program. They claim their system generates lots of leads quickly and even newcomers start seeing results right away. That is not true. In the real world, in any new profession that we attempt, success takes proper instruction and lots of hard work. It does take time and perseverance. It is the same with the online world. But MLSP makes it sound so easy to achieve success and misleads us into thinking new leads and cash will start flowing to us. Instead, they should state the ultimate truth that it does take long hours of work and patience, and help their members start out with the right mindset. 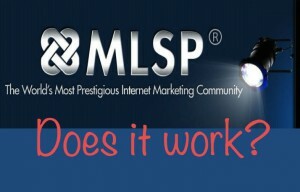 Within MLSP you get access to tons of training videos or other tools about marketing strategies. The recorded webinars are also available and they talk about how to utilize different Social Medias (Twitter, Facebook, Instagram), how to set up a website, what SEO is, and so on. I watched many of these videos while I was a member. They were all quite long (average 1 hour and 30 min). We are all busy and I suspect if people would have the time to go through all these long videos. Even though I sat through all of them, I usually didn’t benefit from even half of the content. Typically, a video starts with a chat between the host (mostly Brian Fanale) and the presenter (a successful member). They would chat about how well the presenter is doing now and how he or she used to struggle before joining MLSP. That kind of thing. Basically, they first focus on their success stories. And then the presenter finally launches on the topic. I would say perhaps 20-30 minutes of each video was related to what I had anticipated learning from the presentation. Even after sitting through the entire training, I would often find myself without a clue as to where to start and how to make the technique work for my business. The videos are not newbie-friendly whatsoever. They don’t guide you through in the manner that you can easily follow and comprehend. I am a college language instructor in my full-time profession. (Refer to About Me) I guide my students from zero knowledge to the level that they can express themselves in a foreign language. When you are attempting to instruct complete beginners, it is indispensable to understand what they don’t understand. You must focus on your learner’s perspective if you want to help them. In my opinion, My Lead System Pro failed to view their members in this respect. They do not know how to smooth out the learning process for the members and only highlight the ending results. But we are paying our money to learn the very process, not to hear other people’s success stories, right? MLSP needs to shift their focus to better training if they truly want to help their members. Who Is My Lead System Pro For? First of all, MLSP is designed to help promote a Multi-Level Marketing (MLM) so you must already be part of an MLM company or at least intend to generate income through the business model. 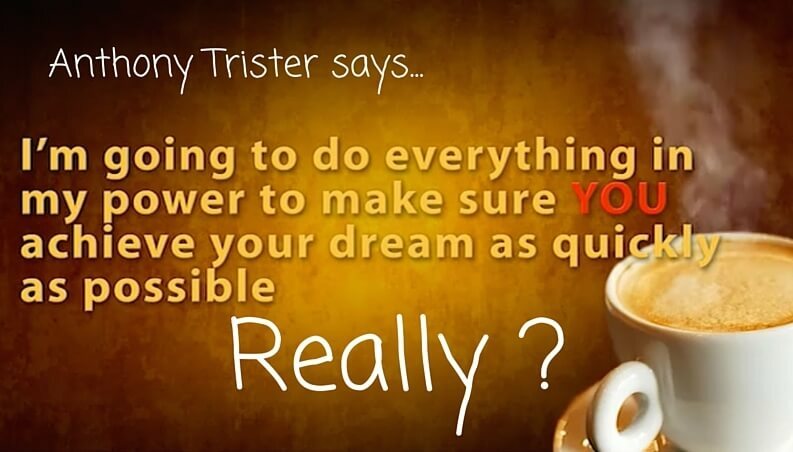 In other words, if you are not into MLM business model, this program is not for you. Even if you don’t mind MLM, but don’t have a product (company) to promote yet, then you will have to promote My Lead System Pro to other MLM marketers out there. Secondly, their strategies might work if you are already generating lots of traffic to your website or have many followers on social medias. MLSP claims that they generate leads for you, but it is only possible with sufficient traffic already in place. Then (and only then) their marketing strategies may work to convert your traffic to leads, and the leads to buyers. So, MLSP is NOT for you if you don’t know how to drive traffic online because they don’t teach you how. The current program I am with (Wealthy Affiliate) is the program that understands what their members don’t understand and tries to help them. It’s the vital element of a helpful teacher (program) as I stated above. It was with this program that I finally learned about online traffic and how to build it from scratch. It is a long process that requires effort, time, and perseverance on your side. Any successful online entrepreneur out there went through this tiring process. In fact, they are successful today because they didn’t give up during this daunting phase of building traffic. I was not aware of this important truth when I was with MLSP because they didn’t tell me anything about traffic or the patience it takes to build it from scratch. Or perhaps, I didn’t have access to the information because I was on the cheapest plan due to my tight budget. Either way, you need the right resource and well-structured courses to master online traffic and unfortunately, MLSP is not the place. Support – Are They Serious About YOUR Success? The MLSP community has people with a wide range of backgrounds, from newcomers to successful business owners. Newbies can interact with experienced marketers, which is a plus. However, the person I signed up through (my sponsor) never contacted me while I was a member. Looking back, I still find it odd. I remember I accidentally found him on YouTube. I began receiving his newsletters via email and then, I was directed to the MLSP sign-up page. After signing up, they urge us to call our sponsors but I didn’t feel comfortable to call up someone who is a total stranger. There is a private Facebook group where you can connect with people from MLSP and ask questions, but I never joined. Again, I find it very strange that they do not offer us members a way to interact with each other inside the system. In short, I never received any personal support and that is one of the reasons why I left MLSP. At Wealthy Affiliate, on the very first day within the system, my sponsor contacted me and greeted me. He told me not to hesitate to directly message him if I have any questions or concerns (there is a private message system in the program). He still checks on me occasionally, asking how I am doing and if I need any help. I have felt so supported all the way. It did make a world of difference for a newbie like me. Now I can tell you this with confidence. Support is a “must” for your online success. When you are not sure which program to join, check their support system first. That tells you so much about the quality of the program itself. Can you personally connect with experienced marketers? Can you receive help 24/7 through a system like online chat? How quick are they to respond to your inquiry? Even better, can you directly contact the owner of the program? If the owner is active helping out his/her members, the program is definitely the place to stay. MLSP currently has two payment plans: University $49.97/month and Mastery $149.97/month. As I stated earlier, I joined several months ago with a lot cheaper plan called Academy $19.97/month. Apparently, they eliminated that option. I wonder why they did that. It makes it even harder to join for those with a tight budget. Many people who seek a way to make money online do not have much money to invest in the beginning. The University ($49.97) plan is very basic and only gives you a general idea as to what to expect from the “full” product. That’s right. Even with $49.97 a month you are NOT going to get full access to all the features of the program! MLSP clearly states that you have to sign up for the Mastery $149.97/month membership for the program to truly work for you. In my opinion, it is way too much to invest for beginners who are just starting out online. If you signed up for a cheaper plan, they would try very hard to convince you to upgrade. As soon as you join, you will be introduced to even more products that you should purchase. Many trainings teach the strategies that are impossible for you to implement without spending additional money. They emphasize on success stories too much. They would spotlight those members who “made 10 leads overnight” or “made XYZ amount of money in one month” for example. It all sounds like “hype” to me. What I wanted to learn was “how” exactly I can achieve the same outcomes, which was never shared. MLSP system itself has the MLM scheme and it relies on the members to sponsor new people in order for the program to stay alive. 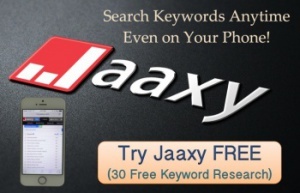 A member will receive 100% commission for one sign-up he or she generates. It sounds wonderful but to me it sounds like an illegal Pyramid Scheme practice. They say, “Act fast because this special offer does not last forever” at their sign-up page. A typical sign of a scam program… a big red flag for me. Numerous marketing strategies that overwhelm newbies. No guidance or support as to how to figure out what method works for each individual. In spite of its claim, not many people are making actual income with My Lead System Pro. After all, it is an MLM system. Apparently, those who are making money are already at the top of the pyramid. I doubt how serious those top earners are to support their downlines (people signed up under them). As I stated, my sponsor never contacted me. For the quality of service it provides, the membership fee of MLSP is way overpriced. Then it comes with upsells as well as additional purchases to proceed in the program. In my opinion, this product is not worth your hard-earned money. It simply is not a learner-oriented program. See the comparison below and you’ll know what I mean. I am sorry to conclude that My Lead System Pro does not help you build the strong foundation of your online business. 🙁 I would say to stay away from the program, unless you are an experienced MLM marketer and feel comfortable promoting this type of business model. If interested, you can read more about Wealthy Affiliate and my experience there. If you enjoyed this article, please “like” and “share” so that other newbies won’t fall for this program. If you have any questions or want to share your personal experience with My Lead System Pro, please leave them below. I would love your feedback. Thanks! Tired of low-quality, dishonest products like My Lead System Pro? Check out my #1 ranked product (98 out of 100)! See for yourself what a real legit program looks like. 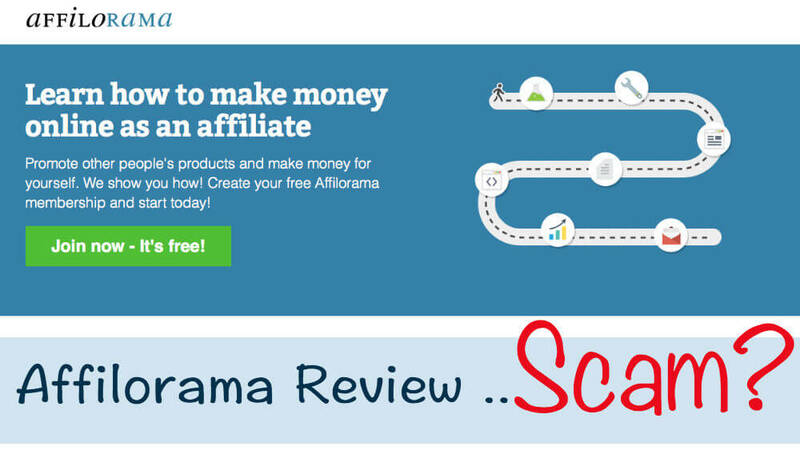 Affilorama Review for 2015 – Is Affilorama Legit? Coffee Shop Millionaire Complaints – Where Is My Product??? 22 Comments on "Is My Lead System Pro a Scam? – My Personal Experience"
Hi Yuko – Very good in depth review of My Lead System Pro. You have covered virtually every aspect of the program. I am glad that you are with Wealthy Affiliate 🙂 It’s the best program on the planet that supports you and educates you how to run an online business successfully. Thanks for stopping by Mark, and wishing you a great success! This almost sound like a scam, but a very on the edge of a scam. So as a beginner you said was no good because of the overwhelming information and disorganized training but how would it cooperate with say a person with a level of marketing? $49.97 a month seems extortionate to not even receive the full training. I wouldn’t even bother with that. You said you have found a better program you are using which one is it? 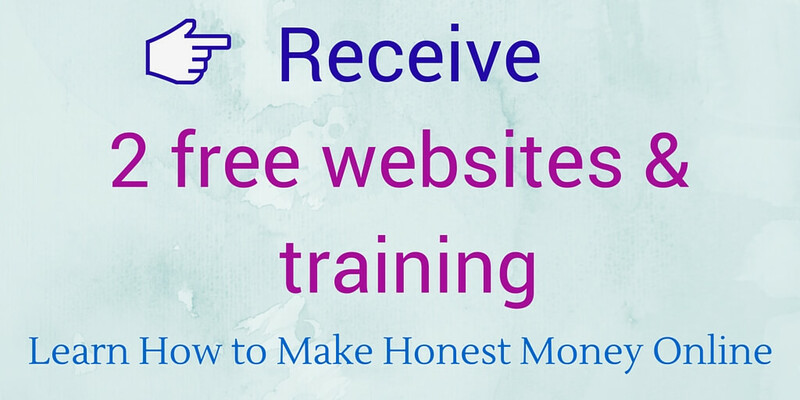 If you do not need help with basic stuff like building a website, SEO, or creating an email list and you are into MLM, you may get something out of this program. But you will still have to go for the most expensive Mastery plan and expect to invest even more within the program to really make the use of it. Because of the strong characteristics of MLM of this program, however, I don’t see much chance of success from it if it’s not appealing to beginners (less prospects out there). The program I found is called Wealthy Affiliate University and honestly, I have not seen a better program online. It is absolutely newbie-friendly and a lot more affordable. 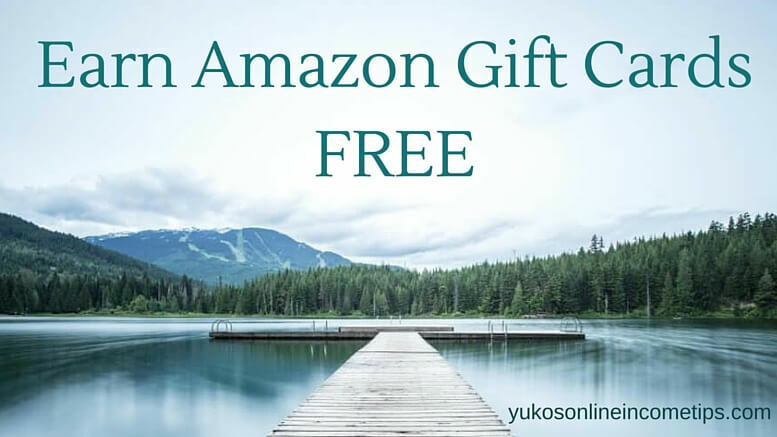 You can choose between a free membership ($0 with two websites and access to the basic training) or paid membership ($47/month and access to everything). I highly recommend you to check it out at least. I promise you that it’s worth your time. I guess if you’re in to MLM marketing and you are already a seasoned marketer you can get some great info here, right? I felt exactly the same as you regarding this program. As a newbie, I needed more than anything the well-organized instructions from scratch that tells me where to start and how to proceed. As you pointed out, for those with the basic understanding of Internet marketing, My Lead System Pro may work fine. As it particularly focuses on MLM business model, however, this definitely is not for everybody who seeks ways to earn income online. I wish MLSP at least states that fact from the beginning so that they won’t waste the time of total beginners. Thank you for visiting and for your comment! Hi I’m new to this Internet marketing stuff, so thanks for the review. Good Stuff! Have you seen this program? Kickstarter Millionaire. I’d like to hear your opinion of it. I was not familiar with Kickstarter Millionaire so I looked at the website. I am sorry to say this but to me, it appears very, very scammy… The landing page does not offer much information and just asks for your email address. When I tried to close it, then another landing page appears. The video with a long sales pitch, “limited time” offers, get-rich-quick claims, all the pricey products listed that are going to be “yours” if you join, etc. Everything nicely falls into the typical scam tactics. And the membership price…OMG. Three payments of $997??? Outrageous! Don’t ever invest your hard-earned money for a program like this. If they are so confident about their program, they will let you test drive with a lot more affordable fee, or even for free. Since you said you are a beginner, please be careful with online scams like this. It is getting harder and harder nowadays to find real legitimate programs. If you are interested, you can read about my #1 choice program, which is totally free for you to try out. Please be safe, Wendy, and I wish you best of luck with your online endeavor! Hey there smiley Yuko , I have read some reviews about this MLSP opportunity but I was not impressed. Let’s see what you got here. Their URL begins with the letters MLM. I wished that in MLM companies the customers are hunting the business owners, instead you have to turn the earth upside down to make a sale. Their videos are focused in presenting the success of the founders?…Annoying and not very helpful. These training videos should be straight to the point and teach you things about this complex world of online marketing. I start to believe that they don’t care about the success of their members. MLM recruiting is very difficult and it requires hard selling marketing skills, not to mention that in most MLM’s they force you to sell a dream that does not even exist. A dream of a dream life in luxurious properties enjoying 6-7 figures per month. Many Up-Sells , Urgency in their offers , not for me.I am not wasting my marketing efforts for these overpriced packages.I prefer to make a living promoting more decent companies. I can see the majority of your visitors do not liked this offer either.I will be returning for more opinions. Thanks for the heads up and for a nice read. Thank you for taking the time to share your thoughts here with us. To be completely honest with you, I did not find one single feature that I was impressed with MLSP. I went to join them to get help and proper education, but I only got discouraged and almost believed that online business was not for me to begin with. Yes, I agree with you that MLM is a very difficult field is to be successful. Many of the companies are not even legitimate. I feel the business concept itself is not necessarily an evil though. My friend is involved in an honest MLM company and it actually is helping many senior citizens who can no longer get employed in the society earning decent income. One good thing is about MLM is that there is no age limit to start. But of course, the marketing is not for everybody so the company should provide proper training. Again, it all comes down to whether or not the company cares for the members success. So far, I have not found any good MLM programs online. My Lead System Pro apparently was not one either. If you come across one that you like, come back and report! I am glad I stumbled across your review of my lead system pro as I was actually thinking of joining. Your balanced unbiased and honest review has made my mind up for me. I am just not that into quick or so-called promises of instant success. I was not born yesterday, I know success takes time and patience and is an ongoing process. Thank you for sharing the information about your experience with MLSP with the world. I am glad my review helped you re-think of joining My Lead System Pro. After I published this article I have become even more competent in this industry and now, I can say with 100% certainty that MLSP is not the path you should take. MLM business style is not for everybody. My Lead System Pro should be honest about it and must upgrade their program to be able to actually train their members. Their current training doesn’t do the job. Nowadays I have become more impatient to see so many people are falling for this type of programs and losing their hard-earned money and precious time, and it made me even more motivated to make this site a good source of information to lead people to real success. You already understand success takes time and perseverance, so your success is only the matter of time 🙂 Wish you a wonderful and prosperous year, Derek. Thanks for commenting. This was a well-detailed article about yet, another not really recommended MLM company. An academy and calling their system “Attraction marketing” is kinda overrated. As you mentioned, even though, you were a member, it’s still unclear what their techniques are. That’s why I don’t trust this kind of MLM companies. And yes, always long videos with low-quality information. I am glad that I didn’t invest in any of these programs. Keep saving people from those internet sharks. I had a high hope in this program as they claimed they provide people the best attraction marketing system. The concept was great, but they failed to systematically deliver the specific techniques of how to implement it to their members. The worst part I experienced when I was with MLSP is that they made me feel as if I was still their income generator. I felt all the resources they provide withing the program was gear toward to selling more to me, rather than helping me to succeed. It is in no ways a beginner-friendly platform. Don’t waste your time on a program that is not serious about your success. If you really wish to make it online, try Wealthy Affiliate. It is the program that truly taught me how to start out as an online entrepreneur and they make things available for people without any up-front payment. I started out complete free in the beginning. You can test the water free and decide if it’s for you or not. MLSP doesn’t sound ideal for newbies from what you say, and the membership fees do sound a little expensive to me. I do think it’s shameful how programs like this force you to part with more money just to access all the features, and I’m also not a fan of upsells either. Thanks for sharing a great review on MLSP, and Wealthy Affiliate looks like a much better option out there. The more I learn how things work in the online world, the gladder I feel that I didn’t stay with MLSP. It really is not worth the money. There are more affordable ways to start your path to earning passive incomes and above all, I wouldn’t be enjoying building my online business like I am now, if I was stuck with MLSP. Try Wealthy Affiliate, it works. It’s not a get-rich-overnight scheme and does require your hard work, but hey, what business doesn’t right? The knowledge and skills you acquire from the training are priceless. Once you are well equipped with needed skills you learn from Wealthy Affiliate, you are off to creating as many websites as you want that generate income online. MLSP does not offer that level of education. Thanks for sharing your thoughts and I wish you all the success in your online journey! Thank you for a such detailed review. With all those “make money online” programs, I often feel like I’m looking through a glass wall. Everyone inside is already sucessful and I wanna in but I cannot find the door. I’ve been a member of such programs before. All the webinars braging about success stories make you feel exactly how you said: I must be stupid or something because I’m still not making money. I think those programs also do not account for the fact that most people have a full time job and can’t work at it for 8 hours a day, 5 days a week. So if any, your success will come much slower. You described it wonderfully, Magda. Yes, with a program like My Lead System Pro it did feel like we were divided by a glass wall. I can see them succeeding big but somewhat I cannot get into the area where they are. I truly felt lost with My Lead System Pro. Glad I didn’t stay with them too long! Now that I am with Wealthy Affiliate I know how it feels to be really supported. From the beginning, I appreciated their honesty that it does take hard work to succeed but we all get there as long as we don’t give up. Their words proved to be true as I am now earning income online. As you pointed out, it is a slow process. But a little progress made everyday does accumulate and bring a difference in life! I want as many people as possible to realize that, and to help them out to start out, I launched a beginner course, Online Income 101 on this website. I nearly got sucked in MLSP,they make it seem so easy to succeed online.Fortunately I had been through a couple of other MLM schemes and they were not good experiences and so I decided to give MLSP a pass. I think all MLM’s are similar, the ones I was involved with hardly gave any decent training but just talked about their few successful clients and how you had to go all in (meaning buy all their overpriced products) to succeed. Honestly, it is surprising that MLSP is still around! It was clever of you that you did pass MLSP. You won’t have a great experience there. As you pointed out, they mainly focus on highlighting those successful members and hardly give you specific steps how YOU can achieve the same goal. I remember I felt so lost. Glad you didn’t have to take the same path as I did. I think I can sum up MLSP in one word: *Upsell*! It’s kind of obvious that they priority is not targeted towards newbies but money. Hence, the reason why they omit the 19.95/mth completely. We as humans we know when a company is trying to upsell you. It is not a pleasant feeling, I’ve felt that way before, I felt the pressure and guilt of just paying the cheapest basic plan and was constantly pressured to upgrade and spend more money in order to succeed. I cannot agree more with you! It indeed is uncomfortable to be pushed and sold to a product that we are not 100% sure of. Since newbies do not have basic knowledge of how online marketing works, they tend to fall into the traps of this type of company. It’s sad and these companies have made the reputation of the entire online world bad. There are still people who look at us funny when we say we make money online, as if we are doing something fishy. I am sure that soon in the future companies like MLSP wouldn’t survive as people are more educated with honest ways to earn income online.